The growing trend in trash is that many municipalities are leading the nation in reducing costs and waste while increasing sustainability. In Los Angeles, Philadelphia, Chicago and Boston, you can find BigBelly Solar Trash Cans replacing traditional trash cans on the streets. These are solar-powered trash cans that automatically compact the trash inside to save space and limit the number of times they need to be emptied. 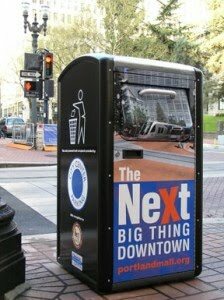 BigBelly claims that these new compactors can reduce the size of the trash inside by 80 percent, and when the trash is compacted, the cans are capable of holding 150 gallons of waste. This means fewer scheduled collection times, which reduces fuel use and air pollution from garbage trucks. And in Seattle, they are banning single-use restaurant packaging from landfills. Seattle is officially the first market area in North America to require single-use food service packaging be either compostable or recyclable. This requires restaurants, coffee shops, food courts, cafeterias and other food service businesses to stop throwing away single-use food service-ware and packaging including napkins, paper bags, wooden coffee stir sticks, clamshells and hot and cold beverage cups and lids among others. The city hopes participation of the new ordinance will help prevent 6,000 tons of food service-ware and leftover food from entering landfills. Similar regulations for single-use food service packaging are in the testing phases in San Francisco and Toronto as well. We are impressed with both of these cites trash improvements. Tell us your ideas on how your city could reduce trash and improve your city.